How has your need to please people compromised your desire to please God? Who are the people you aim to please? Why? What does it mean to speak the truth in love (See Ephesians 4:15)? What is the relationship of truth to love? How does Jesus help us overcome our need to please people? Our need to please often arises out of our own need for approval. Who are the people in your life who love you unconditionally? Make sure to thank them for loving you unconditionally for who you are and allowing you to be yourself. If you have a person you cannot make happy but can’t tune them out, seek to understand their perspective. Try to put yourself in their shoes. Look at the situation with their eyes. Be patient with them. Pray for them. Love them. But don’t compromise God’s plan for your life. Hello, my name is Phil and I am a recovering people pleaser. I am sure many of you are just like me. Many of you are continually striving for acceptance. You yearn for the affection of others. When I first became a pastor, I thought it was my role to make everyone happy. I did not want to upset or offend anyone. I wanted people to like me, but it often held me back from doing what I knew God was leading and calling me to do. It stunted the potential growth of our ministry. There is truth in these words. You can’t make everyone happy. So stop trying. Not even Jesus made everyone happy. Love is not always doing the thing people want you to do. That is called enabling. Love is doing for them what you believe in your heart and you know from God to be best for them. We learn this from the prophets in the Old Testament. We learn this from Jesus himself. They did not always tell people what they wanted to hear. They told them what they needed to hear. It cost Jesus and many of the prophets their lives. Love involves sacrifice. If you are a leader, then set the course according to where God is directing you. Certainly listen to the advice and wisdom of others. In fact, you need to do that. But make sure God is the one navigating. Not everyone is going to come along and follow. But that is ok. If God has got you on course, you need to keep looking forward. When I worked as a counselor at Lake Wapogasset Lutheran Bible Camp, we would take the campers canoeing. The camp was on a big lake. When crossing the lake, I would tell the campers to pick a landmark on the other side of the lake. Then I would tell them to keep their canoe pointed at that landmark. The quickest way across the lake was a straight line. There is a danger when we value the thoughts and the opinions of others more than we value the will of God. It will hold us back from walking in the destiny he has in store for us. When we give into people pleasing, we lose our focus and direction. We will be steered in all sorts of different directions. Little progress will be made toward the destination. Find the landmark of Jesus Christ. Keep steering straight towards him. This is a very interesting thing to consider. I do not know that my desire/need to please others has ever put me in a position that I was “compromising pleasing god”, but it has been the source of personal pain and doubt. I have tried to live my life by the code “do the right thing, even when it does not feel good”. Its a simple thought that keeps me on my path, but while it keeps me on my path it frequently puts me in a situation with people in the workplace and in social situations that are not as clear. All that said, if its painful then its a distraction and any distraction can have unintended consequences, maybe even the consequence of not keeping focus of your reason for being on this earth. 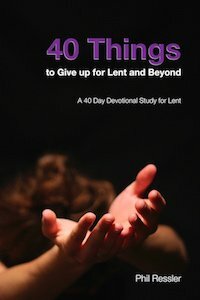 Very powerful thought and an even more powerful thing to give up during lent. Your 3-step plan of action is so simple, but so true…..I struggle with #2!